Your Aadhaar in danger, 130 million aadhar data leaked. Aadhaar numbers and personal information of as many as 135 million Indians could have been leaked from four government portals due to lack of IT security practices, the Centre for Internet and Society has claimed. "Based on the numbers available on the websites looked at, estimated number of Aadhaar numbers leaked through these four portals could be around 130-135 million," the report by CIS said. Further, as many as 100 million bank account numbers could have been "leaked" from the four portals, it added. The CIS report noted that the leak is from four portals that deal with National Social Assistance Programme, National Rural Employment Guarantee Scheme, Chandranna Bima Scheme and Daily Online Payment Reports of NREGA. It also says that the extent of the leaks could be even bigger than what the CIS research found. "While these numbers are only from two major government programs of pensions and rural employment schemes, other major schemes, who have also used Aadhaar for DBT could have leaked PII similarly due to lack of information security practices. 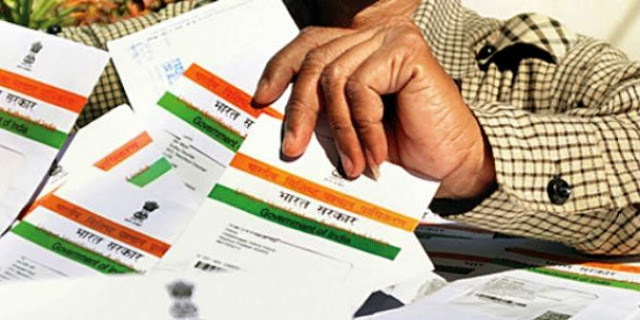 Over 23 crore beneficiaries have been brought under Aadhaar program for DBT,10 and if a significant number of schemes have mishandled data in a similar way, we could be looking at a data leak closer to that number," noted the report prepared by Amber Sinha and Srinivas Kodali. "The lack of consistency of data masking and de- identification standard is an issue of great concern...the masking of Aadhaar numbers does not follow a consistent pattern," the report added.